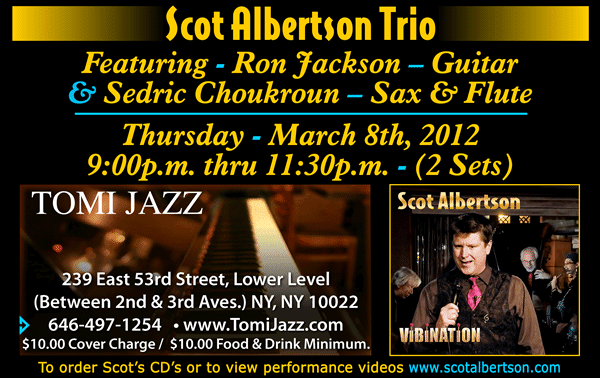 Next Thursday, March 8, singer Scot Albertson will be appearing at Tomi Jazz (239 East 53rd Street) in New York with Ron Jackson (guitar) & Sedrick Chouckroun (sax & flute). Cover charge: $10 plus $10 Food & Drink Minimum. 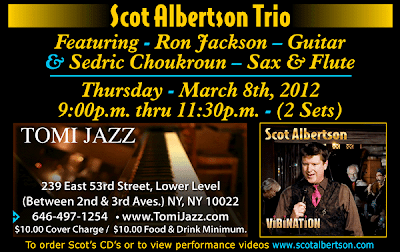 Call (646) 497-1254 for reservations.